Turning a blockbuster film into a potentially lucrative franchise? There’s an app for that. Earlier this year, Apple Store employee Gary Graham posted a spec script on the web site for The Black List, the annual compendium of the best unpublished screenplays floating around Hollywood. In the months since, he has experienced the joys of being plucked from obscurity to become a well-paid Hollywood scribe, and the indignity of seeing his story reworked into a Will Smith zombie movie without Will Smith. 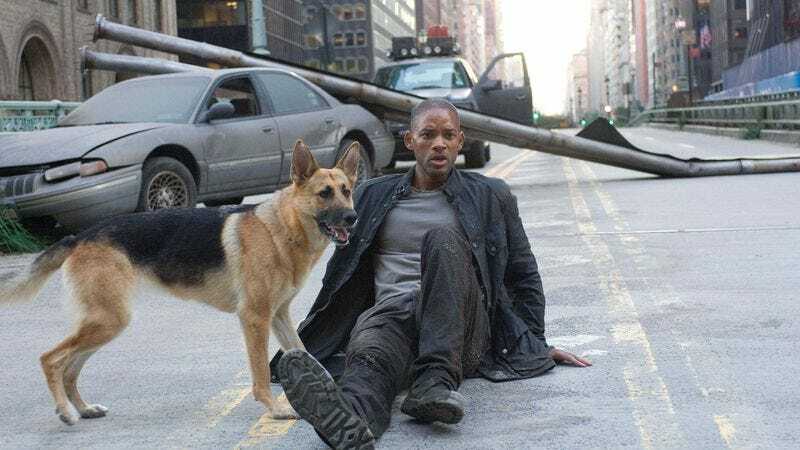 Yes, ever since the success of 2007’s I Am Legend, Warner Brothers has been trying to find a way to milk a few more dollars from the Will Smith vehicle. At one point a prequel was in the works, before producer Akiva Goldsman decided there wasn’t a good story to be told about a scientist living in a world where he isn’t the last man alive and there aren’t zombies everywhere. Instead, Goldman snapped up Graham’s script, A Garden At The End Of The World, and—realizing that the story and themes were similar—asked him to rewrite it into a followup to I Am Legend. The resulting film, however, almost certainly won’t include the sequel-averse Fresh Prince, and will instead introduce a new lead character into the world of the previous film, Bourne Legacy-style. Whether they can find a star with Smith’s universal appeal, or whether they just stick Jaden Smith in there and hope no one notices, remains to be seen.